There are dozens of ways to work out, from going to the gym to biking along the canal, but trampolining arguably tops them all! With enormous ten and twelve foot trampolines available, trampolining has become increasingly popular amongst adults as well as children. A great way to get adrenaline pumping and hearts racing, this excellent activity combines exercising with having fun. Here is a guide to using the trampoline as an incredible exercising machine. Trampolines are a great way to exercise and provide a particularly good cardio work-out. 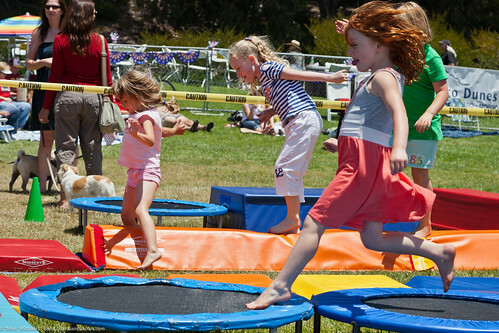 Through constant jumping, stamina will increase and fitness levels are guaranteed to improve. A great alternative to the gym, trampolines can be used in the privacy of the garden, making them a superb option for those who prefer to work out alone. Requiring continual energy, this great piece of gym equipment will help fitness enthusiast’s burn calories and build muscle. Perfect for anyone and everyone, men and women alike will find trampolining is the ultimate way to work out. Adults should treat trampoline sessions the same way they would approach a work-out at the gym. Setting themselves a certain amount of time to train and giving themselves goals to complete will enable them to build muscle and lose weight. It’s important to begin each session with stretches and warm-ups, using the trampoline as a prop in doing so. From sitting down, keeping the back straight and attempting to touch toes with fingertips to skilfully balancing on one leg, the trampoline will make exercises that little bit trickier, helping to improve both balance and flexibility. Those new to this superb piece of gym apparatus should start with simple and basic exercises, such as the straightforward jump. Standing on the trampoline for the first time can be a dizzying and disorientating experience, thus it’s crucial that adults keep it nice and easy to begin with. Set a realistic and achievable goal such as doing twenty or thirty jumps. As time goes on, it’ll get easier and easier to exercise, enabling adults to continue jumping for longer periods of time. There are a range of different jumps adults can do whilst on the trampoline, making sessions that little more exciting and daring. From completing a kick-jump to trying the squat-bounce, there is an array of advanced jumps to try. Altering between exercises when working out will enable different muscles to be used, stretching both arms and legs and allowing adults to get a full and rewarding work-out. 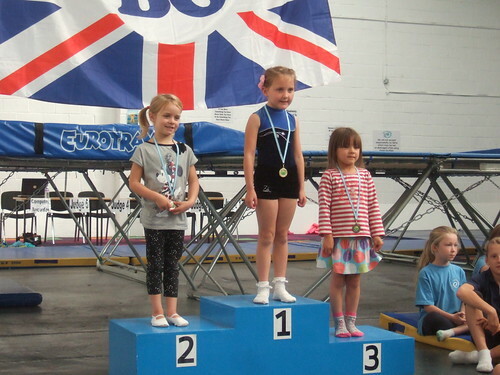 Experienced trampolinists will find a selection of twists and turns to try out whilst training. Whether it’s attempting an impressive back-flip or doing a 360 degree turn mid-air, there are many skilful tricks to complete. Increasing focus and concentration in addition to improving general fitness, trying out some eye-catching twists and turns is sure to make for a fun and energetic session.